A view of the new Quad from the Commons building. Ensemble Room in the Shipley Commons building. 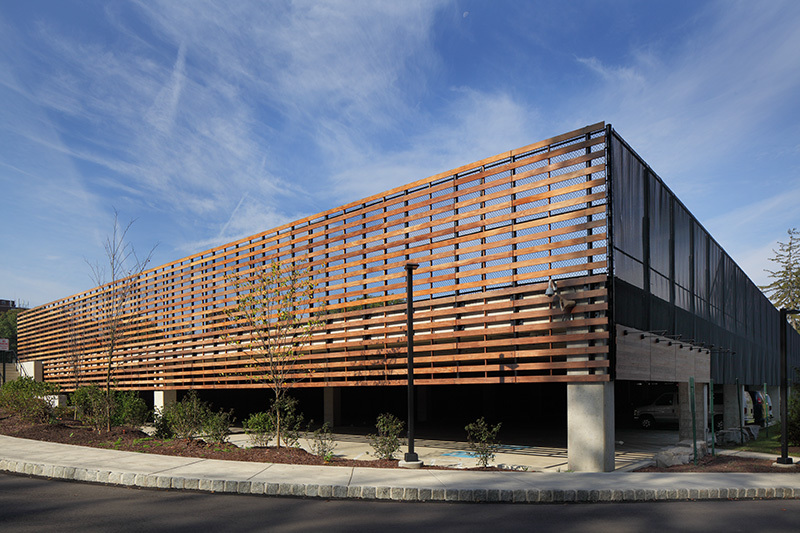 Multi-level structure with parking, maintenance facility and tennis courts. 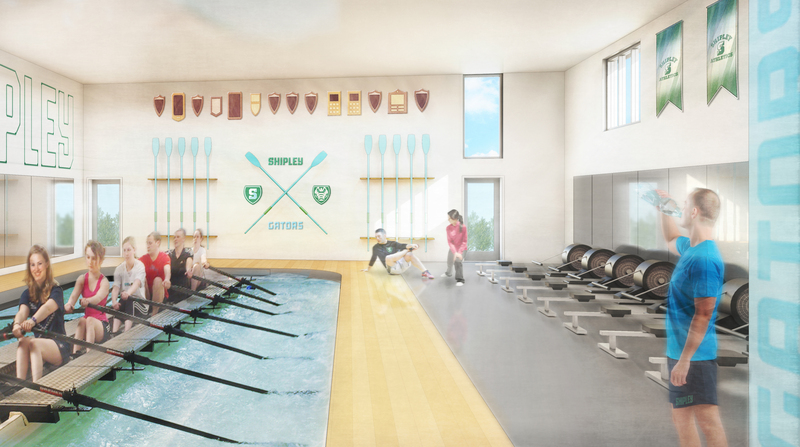 In 2006, we guided The Shipley School through a comprehensive Campus Master Planning process. 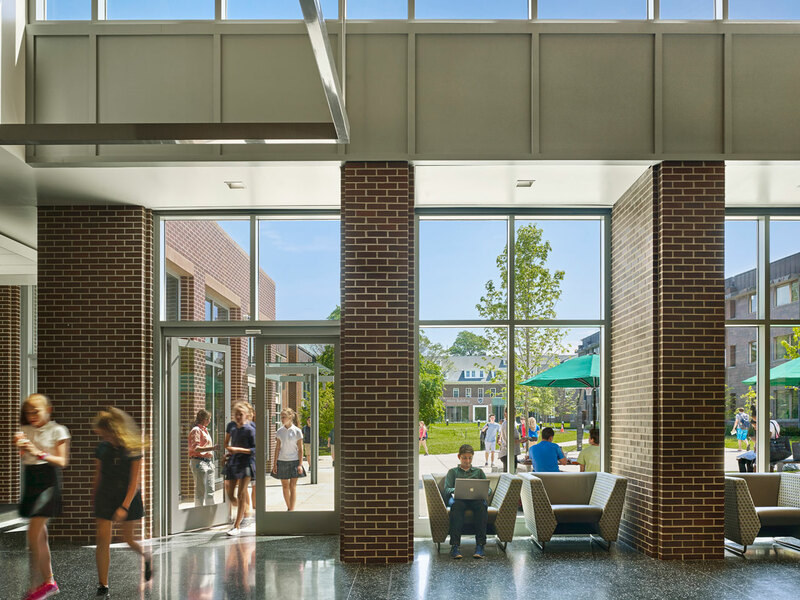 However, when the economy stalled in 2008 and a large adjacent property became available, we helped the School to re-evaluate their facilities strategy, shift priorities, and create a new Master Plan that provided a flexible framework for independently implementing a variety of projects as funds became available. B&F has assisted the School in successfully executing four phases of work over the last decade. Phase I was an $11 million athletic facilities project that involved the demolition of an apartment building, the creation of artificial turf athletic fields, and the construction of a multi-functional structure that includes a parking deck, tennis courts, and a maintenance facility. At our recommendation, stormwater management facilities were included to support future phases of campus development. 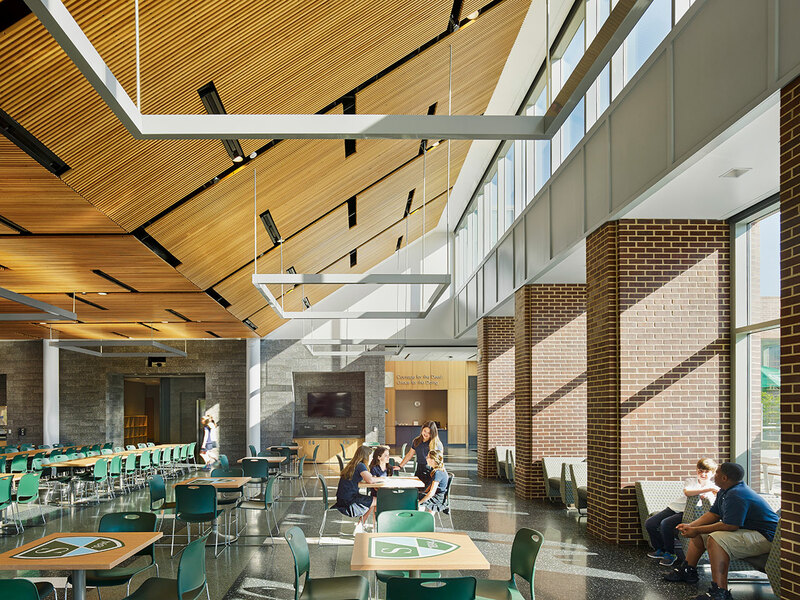 Phase II created the new 26,000-sqaure-foot, LEED Silver Shipley Commons featuring a dining facility, art and music classrooms, and a “gray box” theater. 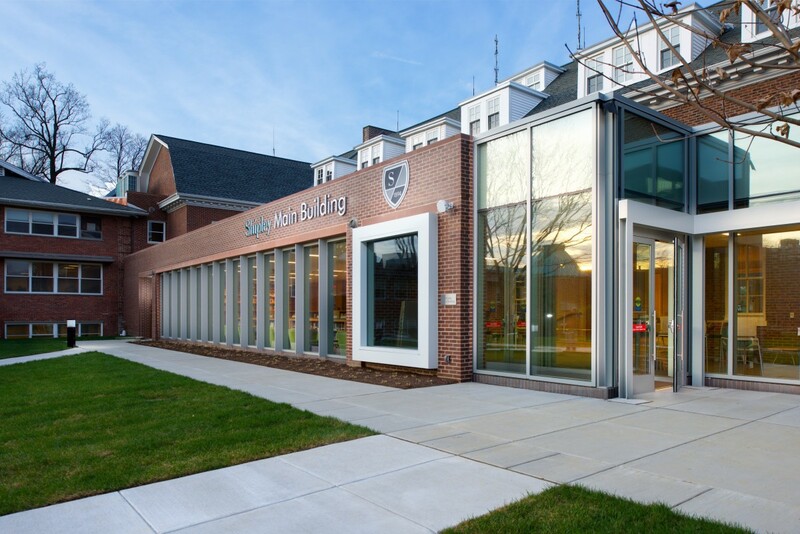 We negotiated the contract for its rooftop photovoltaic array, the first solar installation in Lower Merion County. 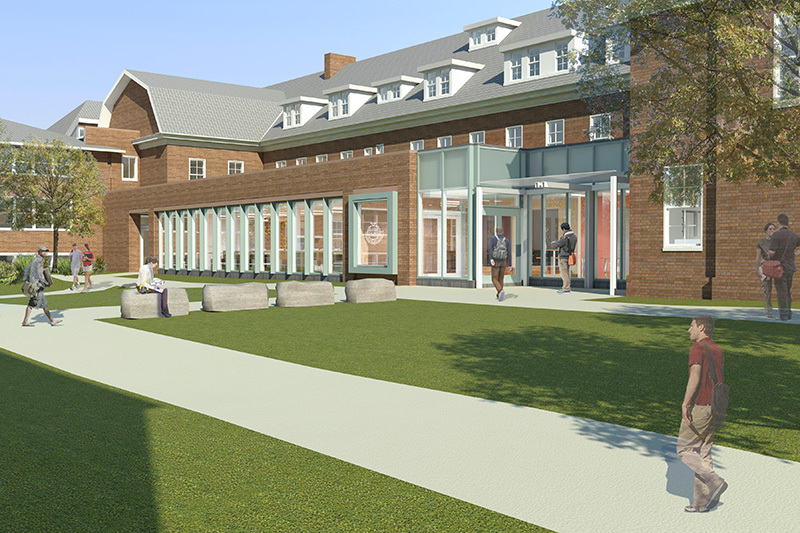 This phase also included renovations to the Old Main building to convert the former Dining Hall into a new Learning and Research Center. 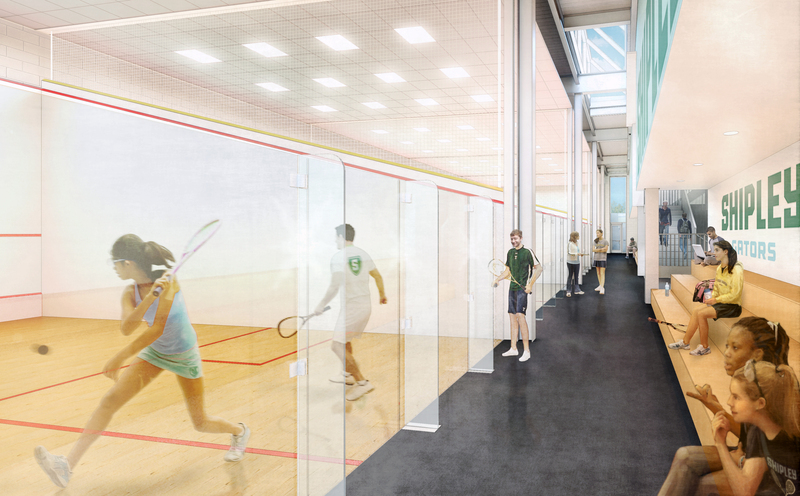 Phase III involved locker room renovations and Phase IV work created new squash and rowing center facilities. 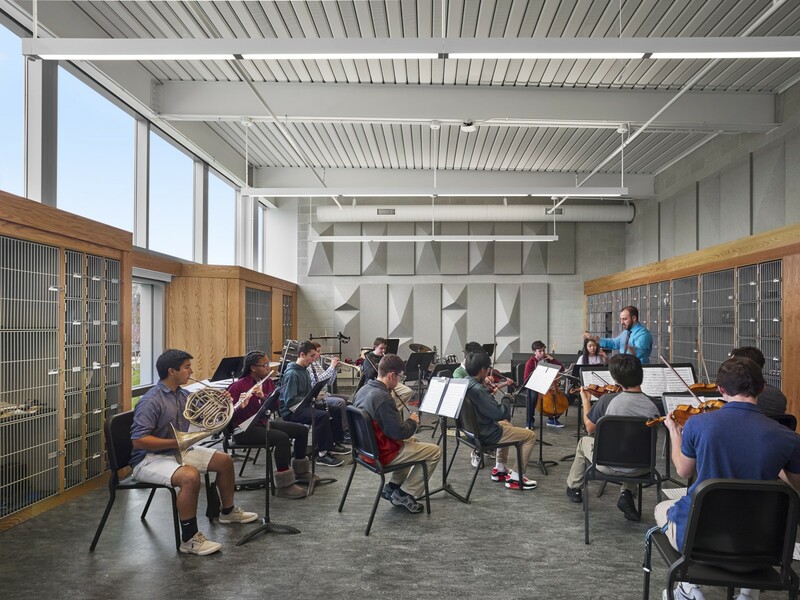 The Shipley School also asked Becker & Frondorf to manage a major campus-wide signage and branding program, oversee a theater AV upgrade, and assist with the planning of future projects.